A drive along the coast between Harlech and Barmouth, past the numerous campsites close to the beach and the cafés and amusement arcades that support them, does not appear to bode well for those of us in search of a wildlife-rich walk in peaceful surroundings. Think again, and stop awhile in the amazing world of Morfa Dyffryn National Nature Reserve. Even a short walk through the dramatic landscape of Morfa Dyffryn NNR, particularly on a windy day, cannot fail to impress upon you the beauty and power of nature. This dune system is still 'shifting' - constantly moving and being re-shaped by the wind, and able to bury the carefully laid access boardwalks within a matter of days. The habitats created by shifting dunes are unique. They may look bare and inhospitable to us, but they are home to some very specialised plants and animals that depend upon this strange environment for their survival. Within minutes of leaving the car park at Bennar Beach you enter a world far removed from the holiday hustle and bustle of the nearby towns and villages; a world of wonderful wildflowers, butterflies and birds; a realm which, later in the year, is invaded and taken over by the Kingdom of Fungi, whose brightly coloured courtiers and strangely shaped soldiers rule the dunes until they, in turn, are banished by first hard frosts of winter. The special features for which Morfa Dyffryn has received such a high level of conservation designations include not only the sand dunes themselves but also the seashore, saltmarsh and grassland habitats each of which is home to an amazing diversity of wildlife. Morfa Dyffryn NNR is managed by Snowdonia National Park Authority and Natural Resources Wales (NRW). By far the easiest way to access Morfa Dyffryn NNR is to park in the Snowdonia National Park pay-and-display car park at Bennar (also spelt Benar on some maps) Beach. From Barmouth take the A496 towards Harlech and drive through the village of Tal y Bont. 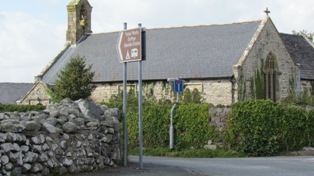 Continue along the main road until you see a brown road sign directing you towards the Dyffryn Seaside Estate. Turn left, and continue along this lane (it is only a single track in parts) until you reach Bennar Beach car park, which is at the end of the lane. There are board walks accessible from the Bennar Beach car park. One of these (the closer of the two) is permanent, but the other one is removed during the winter because it would otherwise become buried by sand during the gales of the winter months. 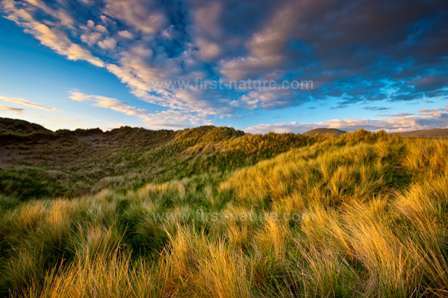 There is an interpretation board beside the path that leads to a gated entrance to the dunes. There are public toilets in the car park. Our first visit to Morfa Dyffryn took place in early September, and it became immediately obvious to us why the site is so famous for its fungi. Dune slacks (flat areas in between sand dunes, which are submerged in rainwater in winter and retain high levels of moisture well into summer) are well known as good habitat for fungi, but nothing could have prepared us for the sheer numbers and diversity of species that were present so early in the fungi season. 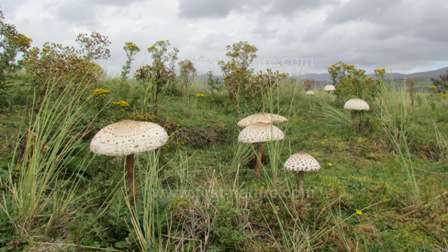 Apart from seeing some impressive fungi 'vistas', including the parade of parasols pictured here, we were lucky enough to find the fascinating little earthstar pictured below. 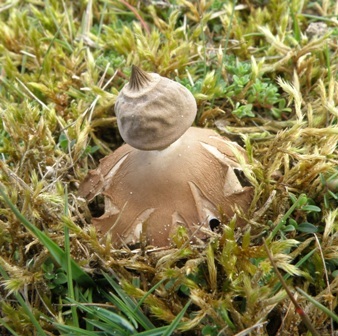 Dwarf Earthstar (Geastrum schmidelii) occurs only in mature dune slacks such as those found at Morfa Dyffryn. After finding one dessicated specimen, which had been blown by the wind to a position of solitary splendour, we looked in earnest for the colonies that just had to be close by, and we found several excellent ones. Other notable fungi at Morfa Dyffryn include the fibrecap Inocybe vulpinella, the Winter Stalkball (Tulostoma brumale) and Cyathus stercoreus, a species of bird's-nest fungus. We also found several kinds of waxcaps including Dune Waxcap (Hygrocybe conicoides) and Blackening Waxcap (Hygrocybe conica). Agaricus bernardii also put in an appearance as also did the Common Puffball (Lycoperdon perlatum) and the Grey Puffball (Bovista plumbea), a leaden-coloured puffball that we had not photographed before. In spring and early summer these same dune slacks are home to a dazzling array of wildflowers including a good number of wild orchid species. (Several nationally rare and scarce wildflowers, lichens and mosses also make their homes at Morfa Dyffryn.) Wild orchids found here include the lovely Marsh Helleborine (Epipactis palustris) growing alongside Northern Marsh-orchid (Dactylorhiza purpurella) as well as Early Marsh-orchid (Dactylorhiza incarnata). 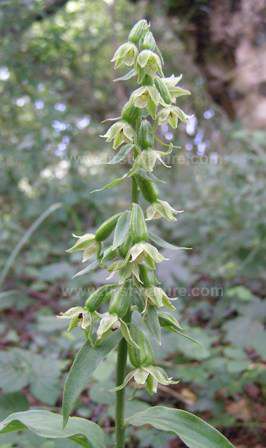 There are also colonies of the rather scarce Green-flowered Helleborine (Epipactis phyllanthes) in localised parts of Morfa Dyffryn, and a visit in late summer - July or August - would be the best time to see this species. 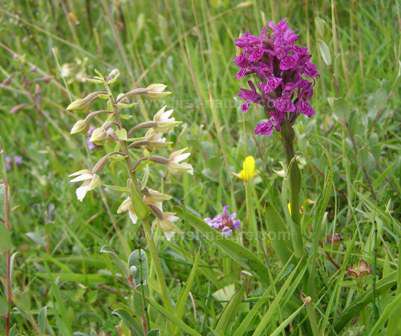 Apart from the orchids there is a whole host of other lovely and brightly coloured wildflowers to enjoy from early spring onwards. Early appearances are put in by Thrift (Armeria maritima) and Common Centaury (Centauria erythraea), and they are soon followed by other coastal species including Common Restharrow (Ononis repens), Wild Pansies (Viola Tricolor), Bird's-foot Trefoil (Lotus corniculatus) and many others. Among the unusal plants found at Morfa Dyffryn is Round-leaved Wintergreen (Pyrola rotundifolia), which is extending its territory there just as it is at another of Wales's wonderful sand dune nature reserves, Kenfig NNR. You might also come across Sea Mouse-ear (Cerastium diffusum), Thyme-leaved Sandwort (Arenaria serpyllifolia), Portland Spurge (Euphorbia portlandica) and Dune Fescue (Vulpia fasciculata) on this reserve. Mosses, liverworts and lichens are also well represented at this NNR. The nationally rare Petalwort (Petalophyllum ralfsii) is present in the dune slacks along with the sand dune mosses Tortula ruralis ssp. ruraliformis, Homalothecium lutescens and Brachythecium albicans. The sand dunes at Morfa Dyffryn also support signficant populations of breeding birds, including Whitethroats (Sylvia communis), Skylarks (Alauda arvensis), Wheatears (Oenanthe oenanthe) and Sedge Warblers (Acrocephalus schoenobaenus). Lapwings (Vanellus vanellus), now so reduced in numbers throughout the UK, nest on the saltmarsh, while other rare bird species that put in appearances at the reserve include Choughs (Phyrrocorax phyrrocorax) and Hen Harriers (Circus cyaneus); the latter being known to roost in the small area of reedswamp. Among the passage wading birds that use the beach and estuary are Sanderlings (Calidria alba), Turnstones (Arenaria interpres) and Ringed Plovers (Charadrius hiaticula). The list of plants and birds that live at Morfa Dyffryn goes on and on, but this is an important place for mammals, amphibians and insects, too.The Brown Hare (Lepus europaeus) breeds in the area, while the many creeks, swamp areas and ponds are home to Water Voles (Arvicola terrestris) and shy Otters (Lutra lutra). Even Great Crested Newts (Triturus cristatus) are found in this amazing place; the ponds on the adjacent Llanbedr Airfield are known to support a population of these rare amphibians which are otherwise thought to be confined to northern and eastern parts of Wales. Flower-rich habitats and dune systems are always good places to see an abundance of butterflies and other insects, and Morfa Dyffryn is no exception to this rule: fifteen invertebrate species that are nationally rare or scarce in the United Kingdom are found there. A robberfly (Pamponerus germanicus), a carrion beetle (Hypocaccus rugiceps), the Spiny Digger Wasp (Oxybelus argentatus) and the Dune Tiger Beetle (Cicindela maritima) live in the nature reserve. Thirty-six butterfly species have been recorded from Morfa Dyffryn including Small Copper (Lycaena phlaeas), Peacock (Inachis io), Marsh Fritillary (Euphydryas aurinia) and Gatekeeper (Pyronia tithonus).